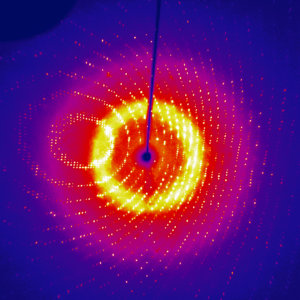 The Macromolecular Crystallography Core Facility offers researchers the opportunity to determine structures which can have a profound impact upon their own research. The facility is in a position to carry out structure determination and analysis on a service basis, but also encourages users with prior experience to use the facilities independently. 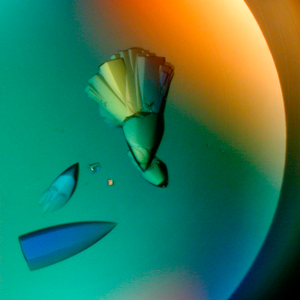 We offer services for setting up crystallization trials, x-ray data collection, structure determination and structure analysis. 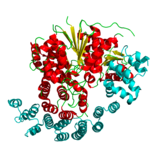 We are also in a position to assist in the interpretation of existing structures available in the Protein Data Bank and to assist in homology modeling. 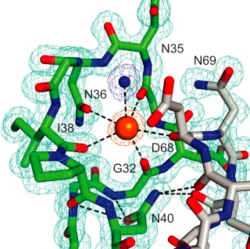 Collect X-ray data and solve structure of a small molecule crystal. Maximum resolution 0.83 Angstrom.